In the postwar period, state-subsidized social housing projects aided in rebuilding efforts. These new housing projects consisted of rental units intended primarily for people with limited means or war injuries. 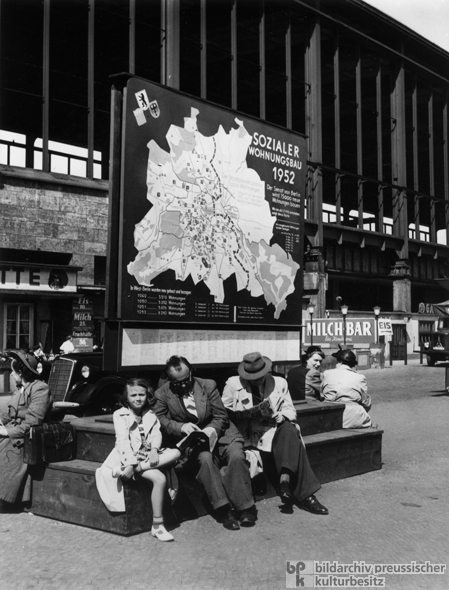 This photograph, taken at West-Berlin’s Zoologischer Garten train station, features an overview map of subsidized housing projects in the Western zones of the city. Photograph by Friedrich Seidenstücker.